n the head office of Guru Online created by Alan Yip (BBA 2004), the colourful interior design and decorations, and the runway threading through the space of more than 10,000 square feet all speak of the company’s innovative, cyber-tech nature of its business. 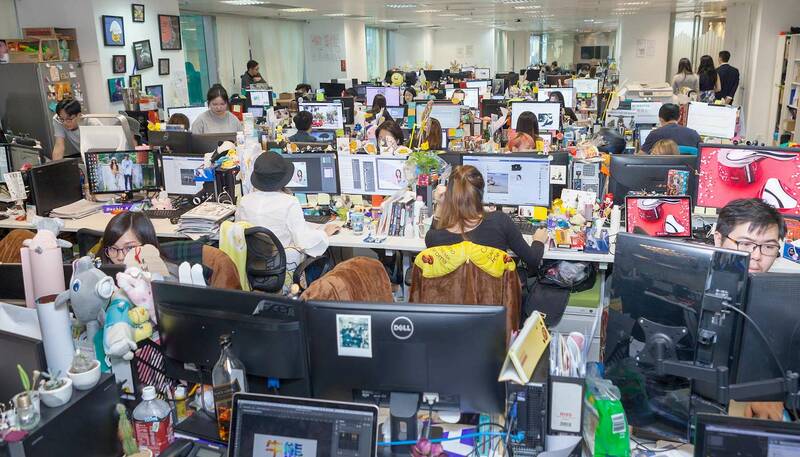 The open-plan office boasts a 200-strong staff without a single partition in sight. Its 400-plus-square-feet pantry features a ping-pong table in the middle, a turf of artificial grass to the right, and a sea-view coffee bar by the windows offering free coffee at all times. Guru’s core business is digital marketing, and the comfy and relaxing workplace is created to inspire its staff’s imagination and creativity. Alan characterizes digital marketing as ‘brand-building on the Internet in collaboration with corporate clients’, with special emphasis on speed and passion. Before starting his own company, Alan was employed as marketing director in a cosmetics company, overseeing marketing expenditure. ‘Back then, print and TV advertising were the order of the day. After allocating a small budget for ad placement on Baidu, I was amazed by the unexpectedly high pay-off. Ten years ago, digital marketing was still a novelty and people’s idea about it was limited to email promotion. But seeing the vast potential for this new business approach, I decided to set up shop,’ he said. He stressed that Guru is positioned as an Internet enterprise rather than an advertising agency. The former relies on AI (artificial intelligence) computing technology to place ads for their clients on major digital platforms. Linked with over 1,000 websites and apps in Hong Kong, such technology embeds the promotional contents directly into the ad space. AI will control when the ads will pop up or run on the platforms. In the first week, AI will collect advertising data, and on day 8, will start optimizing ad placement. For example, ads generating low hit rates on a particular website will be immediately switched to other platforms. Such an optimization process implements full automation through Internet technology instead of being controlled by individual advertising platforms, doing away with the need for coordination among companies. Internet technology not only lends itself to ad placement better targeted at the right customers, but can also record and identify netizens’ behavioural patterns. The data collected can help businesses adjust and improve their products and services according to users’ preferences. In 2012, equity investment from the Mainland’s entertainment group Huayi Brothers opened doors for Guru Online to enter the Mainland market. Buoyed by the resulting phenomenal growth, in 2015, Guru was listed on the Growth Enterprise Market, becoming the first Internet marketing enterprise listed in Hong Kong. 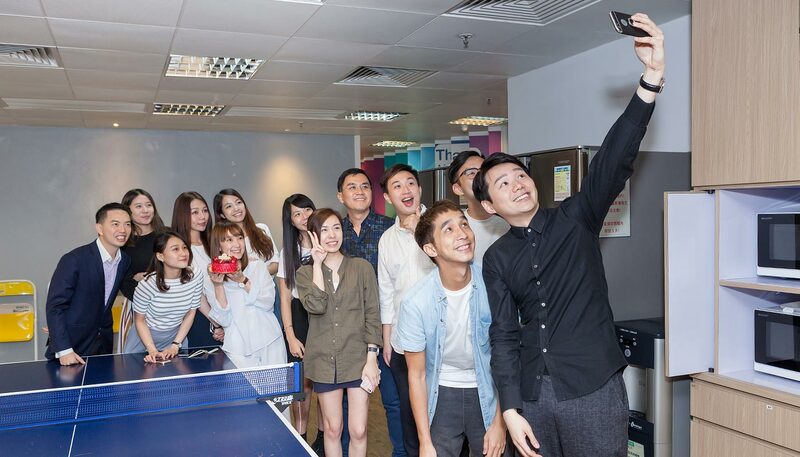 In view of this, company rules at Guru are tailor-made for its young employees—so long as they fulfil their monthly work quotas, they are free to show up for work or leave the office at any time of the day. Freedom aside, motivation also comes into the equation. Rather than having staff appraisal once a year, as is the common practice among most companies, Guru has four each year, giving a raise to star performers each time. ‘For my staff, getting promoted is just like passing game levels. It will spur them on to work harder,’ Alan explained. Last updated by horkykwok at 2017-05-23 .